The coffee shop next to my apartment serves up a really nice German Chocolate Cake. I often get a slice when I am in the mood for a cappuccino and something sweet. When I saw that the Baked cookbook had a recipe for a German Chocolate Cake I figured I would attempt to make one. The cake itself is relatively easy to make. 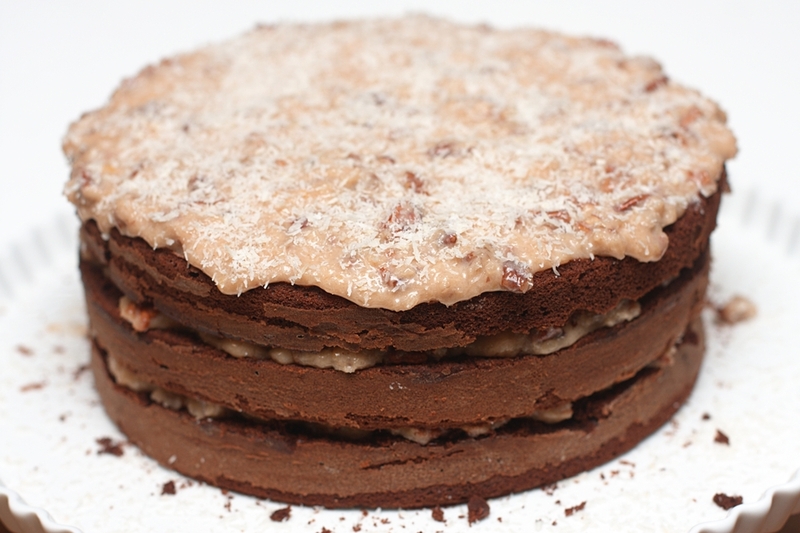 In it’s simplest form it is just 3 chocolate cake layers, separated with a pecan/coconut filling. The cake layers were dense with a nice chocolate taste. With all the baked recipes I have tried so far, it tasted good but wasn’t phenomenal. I think I may have to try another recipe to give this cake another go in the future. 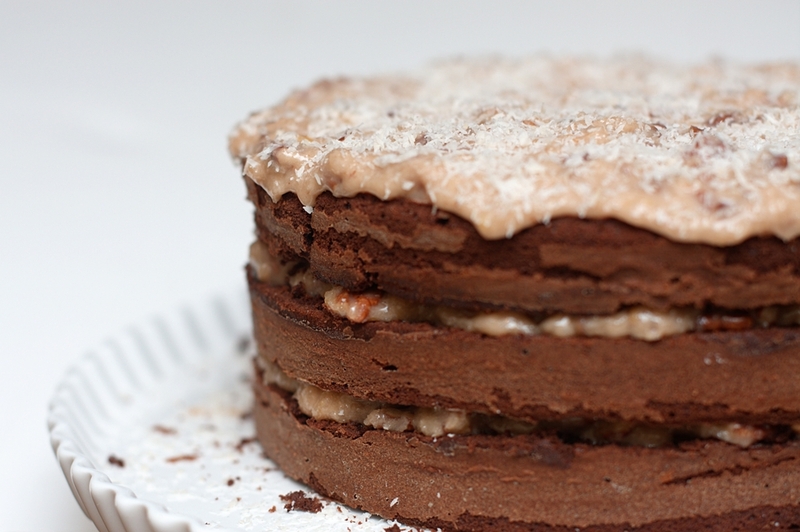 Lastly one interesting note about German Chocolate Cake’s is that they are not German at all. They are an American invention, that was given the German chocolate due to the brand name of chocolate used in the first recipe.